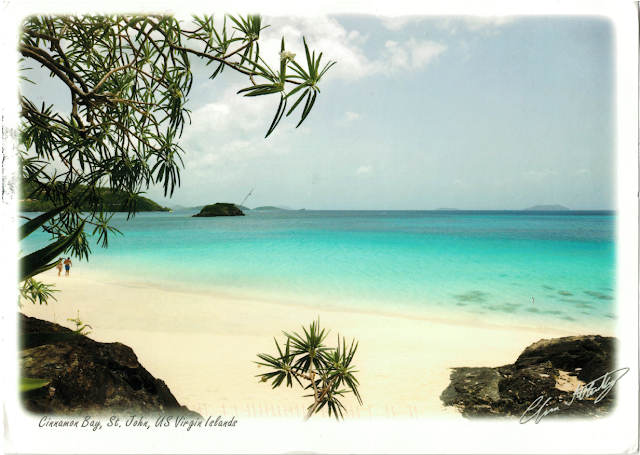 Here is a new paradise incoming postcard from United States Virgin Islands (USVI)! also called the American Virgin Islands), officially the Virgin Islands of the United States, is a group of islands in the Caribbean that is an insular area of the United States located 64 km east of Puerto Rico. The islands are geographically part of the Virgin Islands archipelago and are located in the Leeward Islands of the Lesser Antilles. The U.S. Virgin Islands consist of the main islands of Saint Croix, Saint John, and Saint Thomas, and many other surrounding minor islands. The total land area of the territory is 346.36 km2. The territory's capital is Charlotte Amalie on the island of Saint Thomas. In 2010 the population was 106,405, and mostly Afro-Caribbean. Tourism and related categories are the primary economic activity, employing a high percentage of the civilian non-farm labor force that totaled 42,752 persons in 2016. English is currently the dominant language and Spanish is spoken by about 17% of the population. 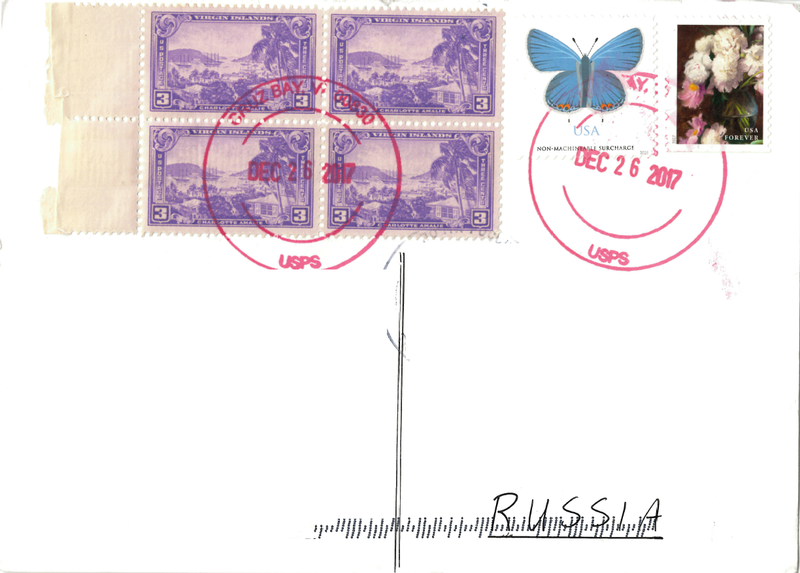 This postcard was sent from St.John Island. At 50 km2 the smallest of the three main US Virgin Islands, Saint John is located about four miles east of Saint Thomas, the location of the territory's capital, Charlotte Amalie. It is also four miles southwest of Tortola, part of the British Virgin Islands. Its largest settlement is Cruz Bay with a population of 2,700. St. John's nickname is Love City. Thank you very much for help dear Richard!